If you visit the website, archive.is, you can see two search bars. The first bar helps you to access the content of a particular website, code and its screenshots. With the second bar, you can share those screenshots and also download them. But in this website, one cannot access the code of things like its destination link. Screenshots.com has the best interface and it also allows you to zoom the screenshots. iTools is somewhat different tool from other Wayback Machine tools. It provides the complete information of a website. Especially, it provides the popularity and the traffic analysis of a particular website. Database of ‘Alexa’ is accessed through this website. iTools also shows the competitors of the desired website. It doesn’t need any introduction as people are familiar with this website. Alexa is owned by Amazon.com. It provides the complete history of a website and also its browsing details. Especially, it gives the information about website’s ranking and keyword research for competitive analysis. You can also find data about the past visits, where it is frequently visited and the duration. Apart from all the above details, one can view statistics like domain information, website’s age and referring domains in Alexa. For this, you need to sign in. It is the most consistent and relaxed web history checker tool. 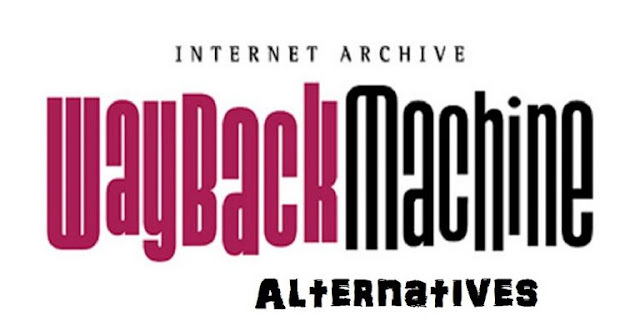 These are the Best Wayback Machine Alternative Sites we picked and they are totally trusted and working fine. From all these internet archive alternatives, you can choose one which suits your requirements. If you find any other better sites apart from the above list and performing good, then let us know in the comments section below.